Game of Thrones first trailer for the highly anticipated season 8 has just released by HBO. The 2 minutes in length features Daenerys Targaryen (Emilia Clarke), Jaime Lannister (Nikolaj Coster-Waldau), Cersei Lannister (Lena Heady), Davos Seaworth (Liam Cunningham), Bran Stark(Issac Hempsted Wright) and the dragons have come to winterfell. The trailer begins with a worried Arya Stark, who says "I know death. he's got many faces." The final season seems to be everyone is gearing up for the fight of their lives as they prepares for the White Walker' invasion. the trailer shows the rest of the Stark children, including Arya who has returned with a newfound bloodlust. 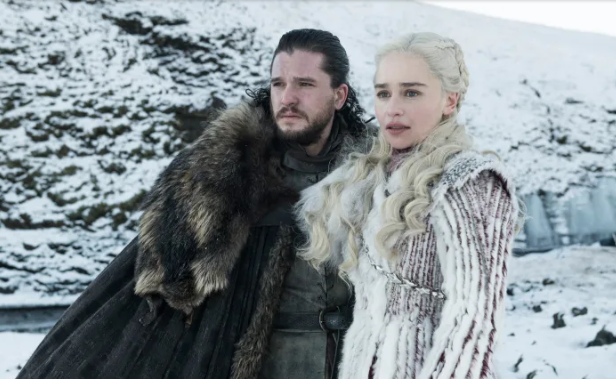 Game of Thrones final season will premiere on April 14.